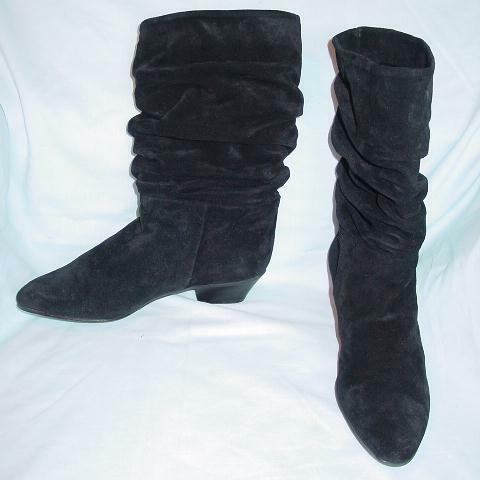 These black suede boots were made in Italy. They have ruching in the front, back, and sides of the leg areas. The interior has a 1 1/4" wide band of suede around the upper rim, and below that soft black leather on the interior leg area. The foot area is lined with a black fabric. They have that "cowboy boot" heel. There are black rubber nonskid soles. They're from a young French model. She said she only got to wear them a few times. bottom to top rim 11"